Kimberly P. Taylor ranked on the Amazon best-seller list with the new book, Success in The New Economy, co-authored with Brian Tracy. San Antonio, TX – August 9, 2018 – President of Taylor Marketing Works, Kimberly P. Taylor, joined a select group of business experts and entrepreneurs from around the world, along with success expert, Brian Tracy, to co-write the book, Success in The New Economy: The World’s Leading Entrepreneurs and Professionals Reveal Their Secrets for Health, Wealth, and Success Today! The book also features content from JW Dicks, Esq. and Nick Nanton, Esq., international Best-Selling Authors® and marketing experts. The book was published by CelebrityPress®, a leading business book publisher that publishes books from ThoughtLeaders® around the world and was released on June 28th, 2018. On the day of release, Success in The New Economy reached best-seller status on Amazon – reaching as high as #14 in the “Direct Marketing” category. The expert information shared in Taylor’s chapter, “Why Branding is a Must For Success in Today’s Economy,” has helped the book reach optimal best-seller placement and will help readers gain similar success in their endeavors. CelebrityPress® describes the book as an inspiring composition about CelebrityExperts® around the world who have made successful journeys to their chosen goal(s) and have discovered what works and what doesn’t in the New Economy. The term “New Economy” is a buzzword that was originally used in the mid-1980s to highlight the transition from heavy industry to a new technology-based economy. By the mid-1990s, high-growth industries on the cutting edge of technology became the face of the New Economy. Electronics, along with the Internet, fueled this new and fast-growing age. One of the most critical features of the New Economy today is faster communication. We now live in an era of ‘real time’ information. We want answers NOW, not ‘in a while.’ In addition, your knowledge, perseverance and action in pursuit of your goal, along with some guidance, will carry you more quickly and easily to your goal. The CelebrityExperts® in this book are here to guide those who wish to succeed. Having made the journey themselves, they know the paths to choose and those to avoid to help you navigate the road to Success in the New Economy. 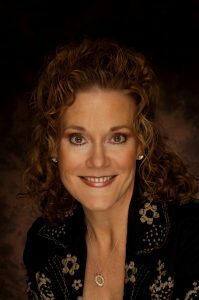 After such a successful release, Kimberly P. Taylor will be recognized by The National Academy of Best-Selling Authors™, an organization that honors authors from many of the leading independent best-seller lists. Click HERE to order a copy of Success in The New Economy. A portion of the royalties earned from Success in The New Economy will be given to Entrepreneur’s International Foundation, a not for profit organization dedicated to creating awareness for charitable causes. Kimberly P. Taylor founded Taylor & Associates, LLC in February of 2008, and rebranded her company to Taylor Marketing Works in January of 2015. She relocated from Houston, Texas in 2017 to the greater San Antonio, Texas area where she serves her clients in the beautiful Texas Hill Country. Kimberly has over 25 years’ solid, hands-on experience in marketing and public relations strategies and implementation, strategic planning, brand identity, business development, advertising, and trade show and event management. In addition, approximately ten years of her career was spent in radio and TV broadcast production. She specializes in business-to-consumer marketing, with an emphasis on new customer acquisitions. Prior to forming Taylor Marketing Works, Kimberly served as Director of Marketing & Brand Strategy for Bariatric Partners, Inc., headquartered in Charlotte, North Carolina, where she marketed outpatient surgery centers in cities across the country under the brand name “JourneyLite.” Before joining Bariatric Partners, Inc., she was the Director of Marketing & Business Development for University General Hospital Systems, LLP in Houston, Texas. In addition, she established the first bariatric program for the Memorial Hermann Healthcare System in Houston, Texas, where she ran a highly-successful comprehensive program for several years. With a passion for making a difference in the lives of the morbidly obese, Kimberly has served as a National Advisory Board Member for the ASMBS Foundation, and is a Past-National Vice-Chair for the ASMBS Foundation’s Walk from ObesitySM. She is an Editorial Advisory Board Member of WLS Lifestyles magazine, and her ongoing column, “Observations from an Obesity Survivor Overcomer,” appeared for several years in the magazine quarterly across the nation. She has presented at the Annual ASMBS Conference and has served as an adjunct faculty member for BariMD, acting as a resource to clients seeking expertise in bariatric marketing. She has served as a consultant to Ethicon Endo-Surgery, a division of Johnson & Johnson, helping to create their online bariatric patient portal by writing much of the content. In addition, she has presented at the American Marketing Association (Houston Healthcare) and her creative work placed as a semi-finalist for the American Marketing Association Houston Chapter’s Crystal Awards. Kimberly was responsible for coordinating the shooting schedule with the cast and crew of TLC’s BIG MEDICINE, and worked for almost five years with Drs. Garth and Robert Davis, to create and implement The Davis Clinic, the premier comprehensive weight management program in the State of Texas. Additional past and present clients include Symbion Healthcare (Nashville, TN), BariMD (Ft. Lauderdale, FL), rdSolutions (Houston, TX), Triangle Chiropractic (Austin, TX), Camille Cash, MD (Houston, TX), Bailey Surgical Assistants, LLC (Houston, TX), Silver Fox Management Company, LLC (Houston, TX), Kathryn Lanigan Pruitt, JD (Dallas, TX), Cowboy Steak House (Kerrville, TX), Solbrig Hearing Center (Kerrville, TX), Ken Stoepel Ford-Lincoln (Kerrville, TX), OutBack Patio Furnishings (Marble Hills/Kerrville, TX), The Ranch Radio Group (Fredericksburg, TX), Hill Country Telephone Cooperative/HCTC (Ingram, Kerrville, Fredericksburg, TX), Holloway Plumbing (Kerrville, Bandera, Fredericksburg, Boerne, TX), and Guadalupe Bank (Kerrville, Ingram, Fredericksburg, TX). When Kimberly isn’t working, she enjoys spending time with her husband and daughter, and exploring all that the beautiful Texas Hill Country has to offer.